Let me start this off by saying, with everything else Bryn and I have built, we figured these shelves would be our easiest project yet. I mean what’s the big deal, right? 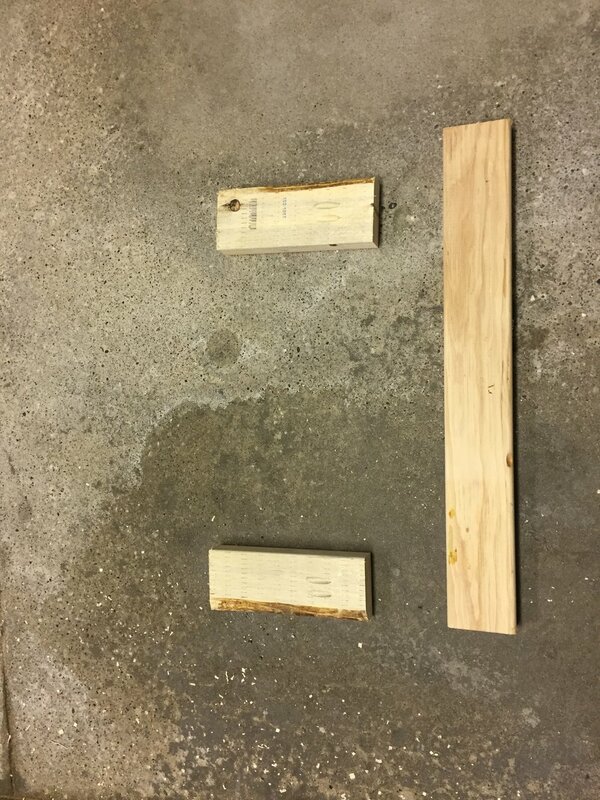 Cut some wood and put them together. Well, while that may be true, it wasn't all roses and butterflies. 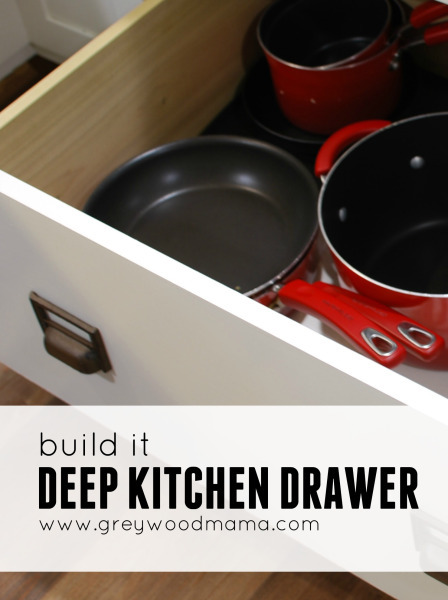 Especially when you have specific measurements you need for a specific space in your kitchen. 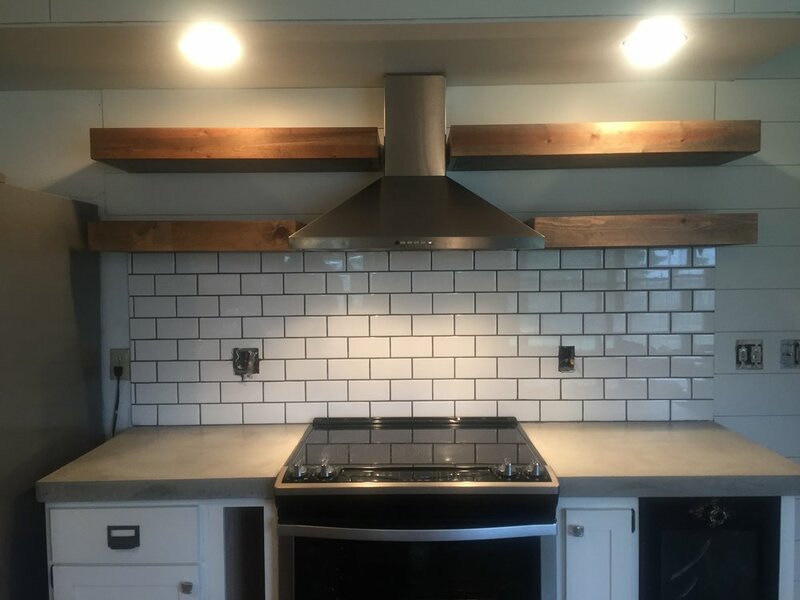 If this is your first time here and you want to see what progress we’ve made on the kitchen so far, check it out below. STEP ONE Cut your wood to size. Below is a drawing of one of the shelves (and the measurements). Once we had our measurements, it was quick and easy to cut all the frame pieces to size (we cut the outer pieces during a later step). STEP TWO Build the frame. 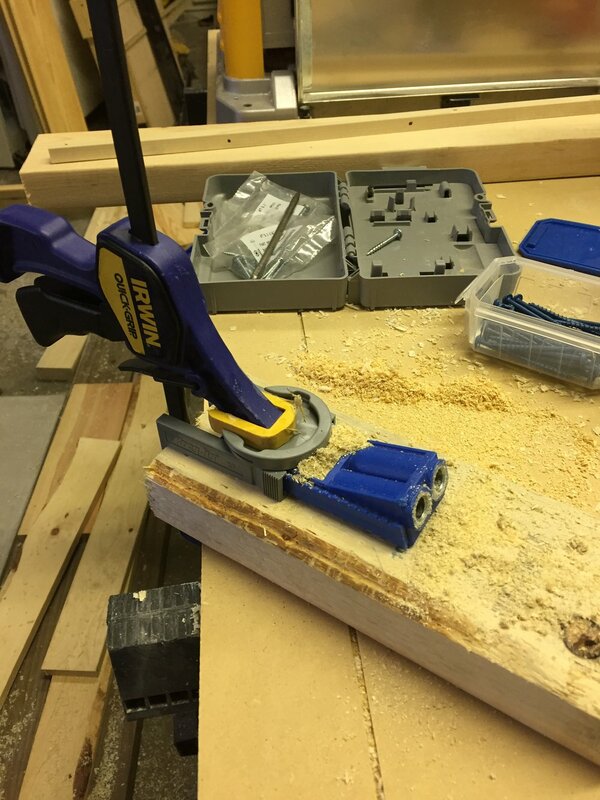 To make things go faster, Bryn was cutting the wood, and I was drilling the holes with the Kreg Jig and attaching the smaller pieces to the larger pieces. 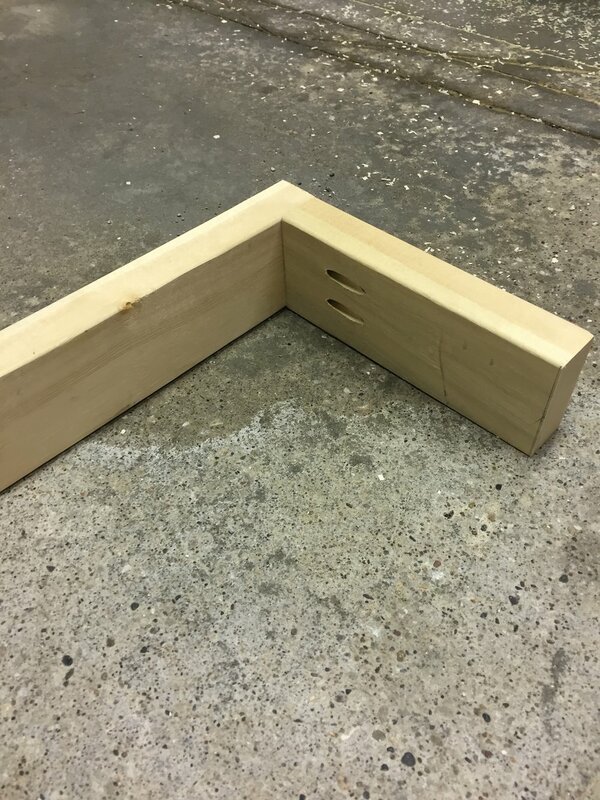 We added an extra ‘leg’ in the middle of the frame for more support. STEP THREE Attach the outer pieces to the frame. After the frames were built we were able to get exact measurements for the outer pieces. 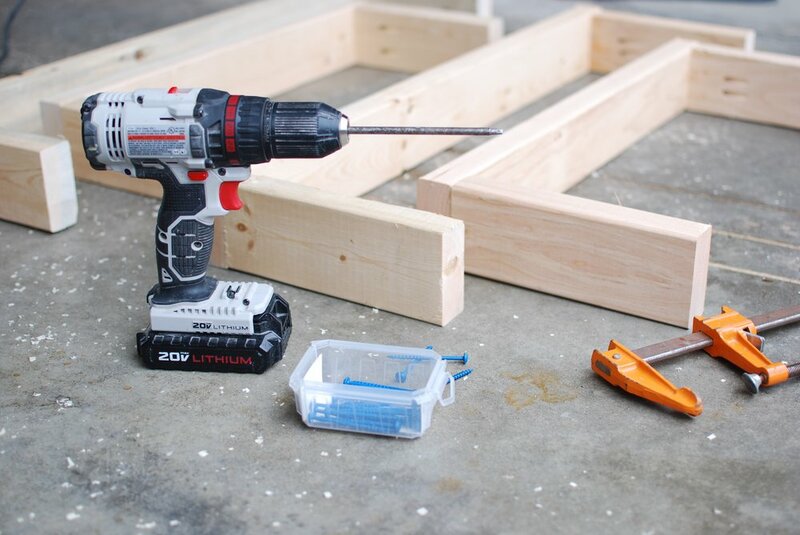 So, we cut the pieces to fit the frame and attached them with a nail gun. We used this opportunity to test fit our shelves in the space. We’ve learned from experience that there are always more things we didn’t originally consider. STEP FOUR Stain and finish all of the wood (on the outside). 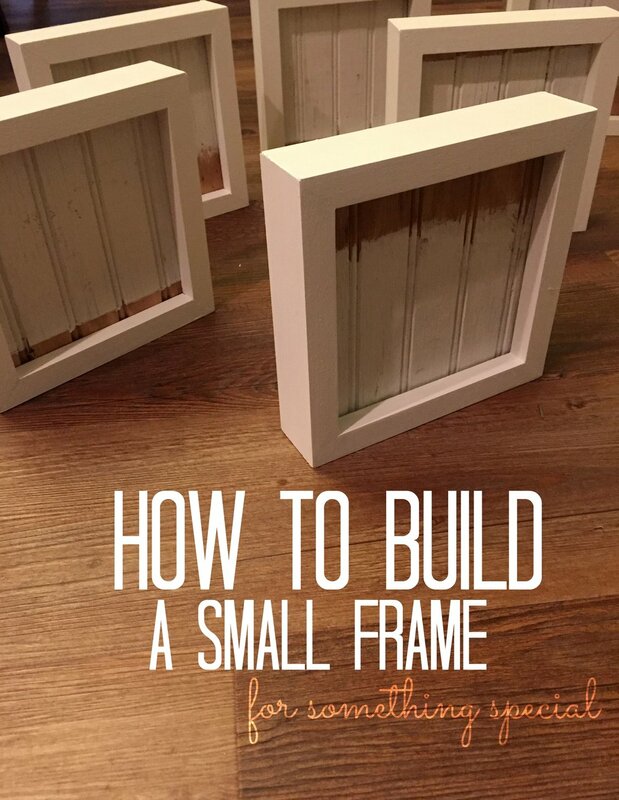 There is no need to stain the frame pieces because no one will ever see them. 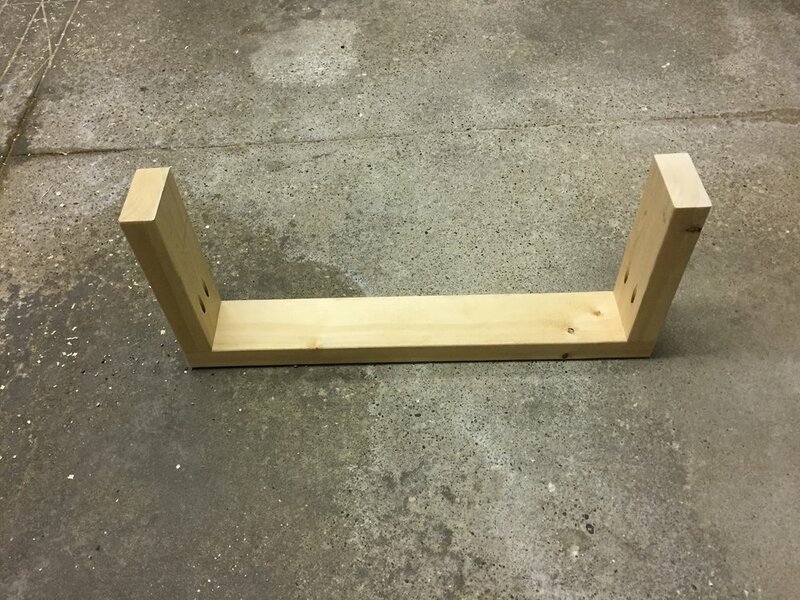 So I stained all of the outer pieces of the shelves (both sides, the front piece and the top and bottom plywood pieces). Once the stain dried, I finished them with a few coats of polycrylic. We have used this on all of our furniture and it has worked wonders. We make our own stain (more on this another day), and so depending on what type of wood we use, we get a lot of variation. Some spots are darker than others, some look grayish, etc. It's just another reason why I love building our own stuff. It's so unique. STEP FIVE Screw the frame into the studs on the wall. 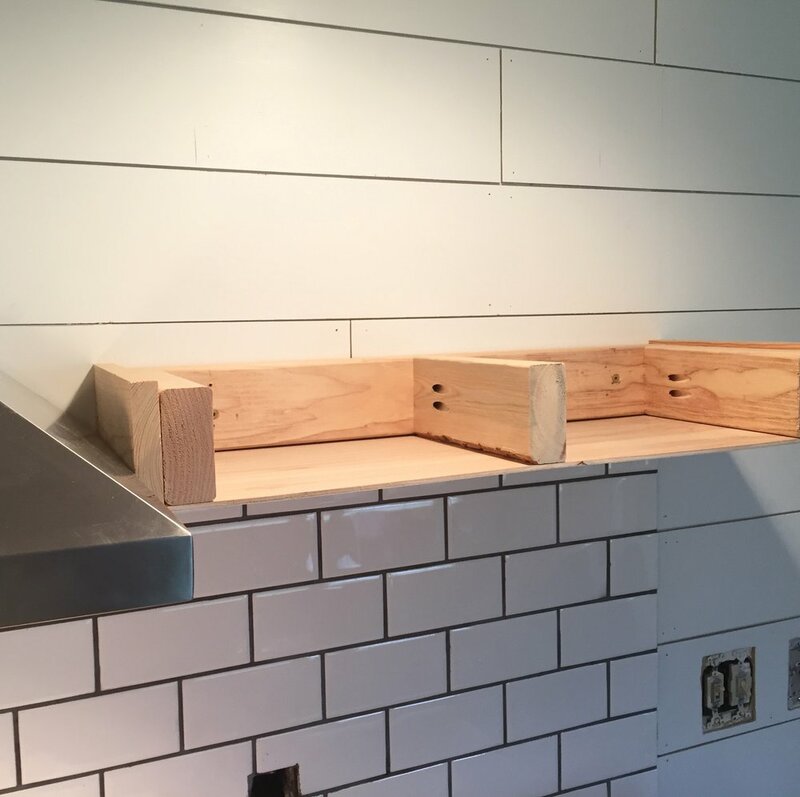 We made sure the shelves were level, marked where the studs are located on the wall and then screwed everything in place. I failed to take a picture of this. But it basically looked like our test fit picture (except for stained and finished). **Tip** Be sure your screws are long enough. 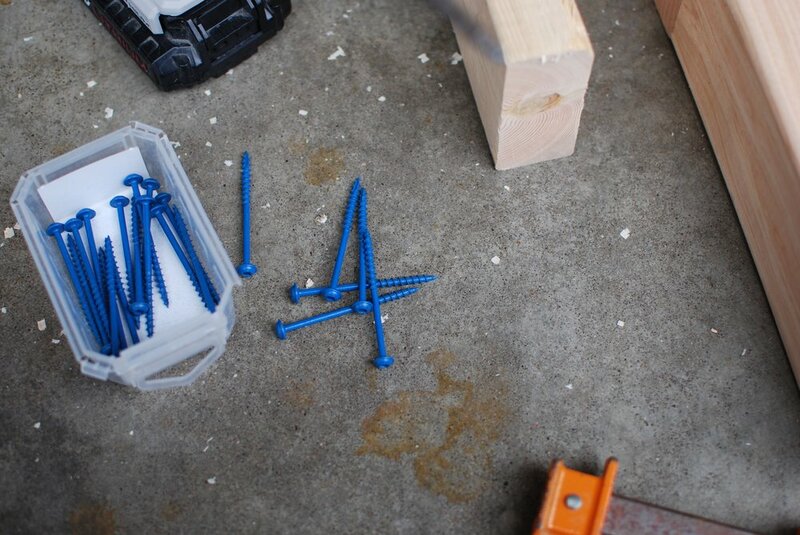 We thought we had long enough screws, but since we have a lot of wood in between (the 2x4, the shiplap, the drywall, and the stud) we actually were not drilling all the way into the stud and it wasn’t very sturdy (at first). STEP SIX Attach the remaining pieces. 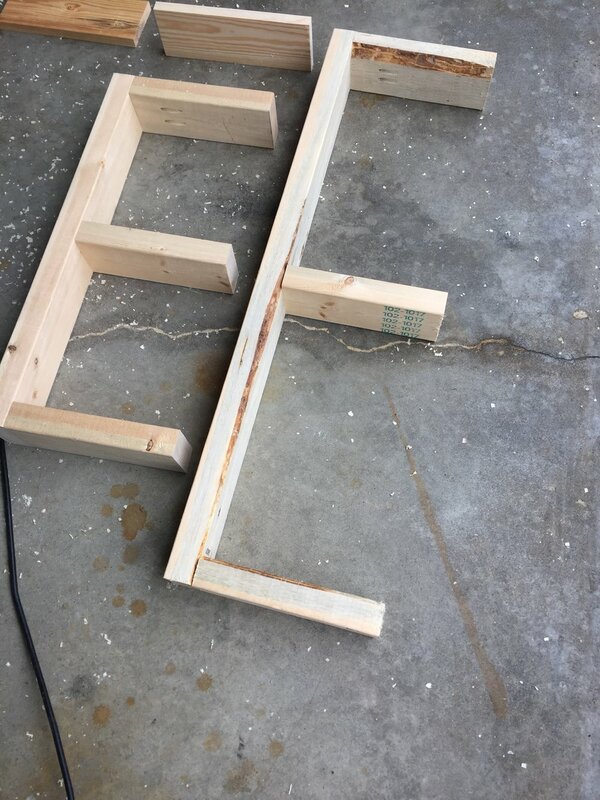 Once the shelves are in place, the remaining pieces (front and top) can be attached using a nail gun. 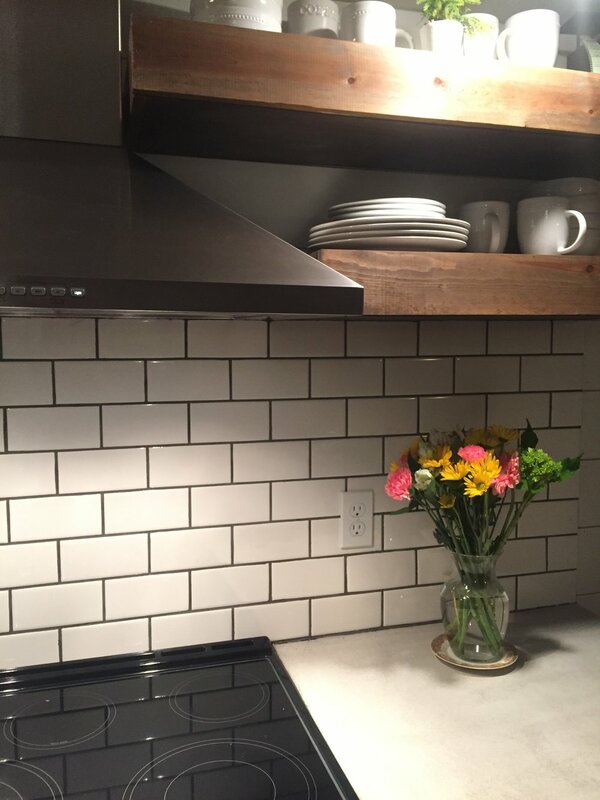 And just like that this kitchen wall has been transformed into a beautiful space. You can find me staring at this wall for a long time. Newer PostGreyhound adoption - 6 month update. Older PostHow to love a hobby and not be a perfectionist.